A vital link to fulfilling our mandate as a prophetic/teaching ministry is communicating in written form revelation received. 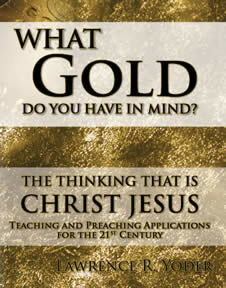 A publishing arm called New Wineskin Publications releases teaching materials, newsletters, and books. A publication known as Lifting the Veil is published as time permits. There are some back issues that are available upon request. Five books have been published for distribution and these are listed below. You may request a copy of any of these books for your use. We request that you make a donation if you want multiple copies. Please Contact Us with your request. This is our first book published in late 2001. 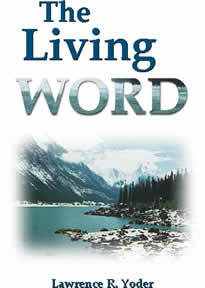 The key Scripture behind the message from this book is found in Matthew 9:37-38. Here we see that Jesus Himself is responsible to thrust laborers out in His own harvest. Our role is to ask Him to thrust us out and others around us. In so doing we are made obedient to Scripture and Jesus as Lord. In other parts of the New Testament we see Jesus sending out the disciples with power and authority over spiritual entities of all sorts. In fact, Jesus sees Satan fall like lightning as this process unfolds in the gospel of Luke. These entities are no match for the Lord Jesus Christ for they are all under His reign. This book teaches us that every church planting endeavor requires basic understandings of biblical truth in dealing with these spiritual entities. A systematic discernment and planning process incorporating biblical principles, field experience and a sensitized understanding of this spiritual contest prepares church planting teams for domestic and global missions. 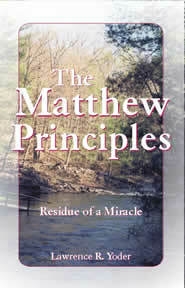 This book is the second in a three-part set called the Streams of Spiritual Awakening Series. An observation of the present movements of the Spirit declares there are two streams moving together toward the goal of spiritual awakening. The first stream restores, renews and rebuilds the body of Christ into the pure bride of Christ. This unifying and growing process builds up toward spiritual maturity. Main aspects of this stream are teaching sound biblical doctrine, discipleship, holiness and unity. This book works through this stream. 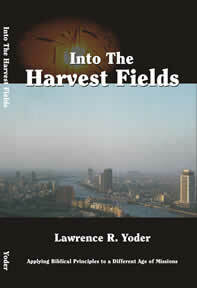 Our first book Into the Harvest Fields works through the second stream of building a house of prayer. The third book in the Streams of Spiritual Awakening Series is to further announce the dawning of a different age of missions and declare to the nations of the world to prepare for the King. Key sections deal with calling out to follow Jesus, seeing a new wineskin, competing ideals of mammon, learning about prayer and preparing for the years ahead by evaluating Jesus’ own word in Matthew 24. It is a hope of the author for the reader to see that they are the residue of a miracle as recorded in the feeding of the 5000 in the gospel accounts. In the book of Acts we read that the apostles taught and the disciples multiplied. The same Greek word used in both this passage in Acts and in Matthew to describe the fragments leftover is perisseuo. The original language means “that which remains” and it’s this supernatural presence of the Holy Spirit that multiplies and expands. This, our fourth book, was published in December 2003. 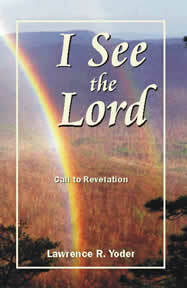 The byline in the title page is “Call to Revelation.” What is a real call? What is revelation? In the Bible we see the beginning as God calls to the end of Revelation of what is to come. This book helps us to see things clearly— with eyes to see and ears to hear. Jesus said to His disciples that in the last days many false prophets will rise up and deceive many. From this prophecy we see that many lead others to follow man. As the chapters of this book unfold the reader will grasp a better picture of what it takes to be a true shepherd. A true shepherd enables the sheep to move from pasture to pasture in safety. Is there a difference between “leaders” and servants? The answer may surprise us as we see that the world of men does not revere true servanthood. We live in a Now Culture where leaders can just appear. It is clear from Scripture that God Almighty calls us to serve others in love. A love for God and others centers on contentment, simplicity and transparency. How does God raise up His servants? He calls them by name to love Him. These are born with a spirit of son-ship. They cease building things for themselves and follow Jesus alone. They assist others in building the Kingdom of God in the hearts of man. It is the hope of writing this book to dispel the myth that everyone has the potential and call for leadership. Most are called to follow and disciple others. Where the true servant leader called by God is going few can fulfill its requirements our day. What Gold Do You Have In Mind? This teaching booklet was published September 2008 and is available at no charge. Philippians is one of my favorite letters in the New Testament, one I have studied more than any other letter or book in the Bible. I have been seeking the proper context of the letter that reveals truth for today. I am convinced its intent is meant to reflect prayerfully on our past, present and future. Whether we realize it or not, or even accept the fact that we as humans have been given a sphere of influence for life and purpose found only in Jesus. Many scholars look at this letter as a thank you letter. However, I see something much different. I do believe Paul intended to write this letter as a follow up to the group in Macedonia as a personal note. We need to understand that from the writer’s perspective they were not aware it was Scripture they were writing. I have sensed over the years that the Holy Spirit’s purpose was to show us the thinking of Christ Jesus as compared to that of the Greek and Roman mindset. The one coordinated through the last kingdom to emerge; one partly clay and partly iron. Today we refer to this politically as democracy, however, Daniel shows us this is the transitional mechanism that ushers in the last kingdom to arise prior to the physical return of Jesus Christ.